What do you do when the weather is 33 degrees celcius, and you and your friend both have a day off? You head north towards paradise, of course. 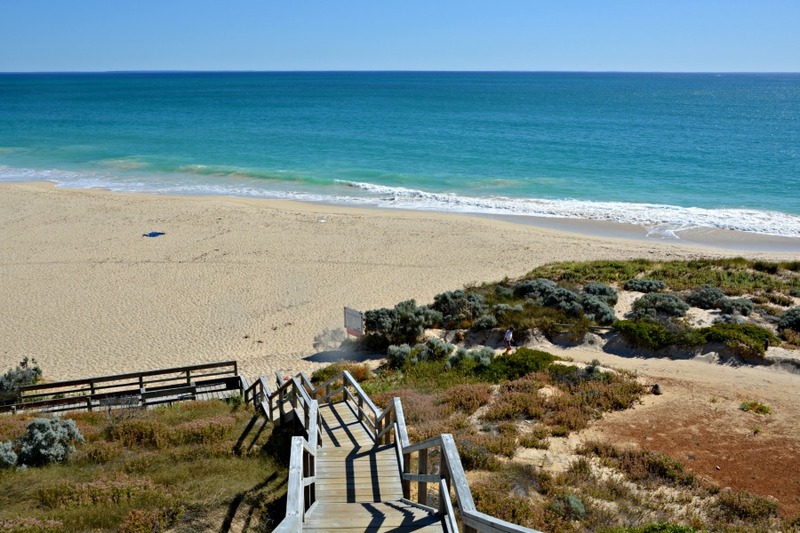 Yanchep is an unassuming little town, not particularly interesting and full of British expats and bogans, to be completely honest. 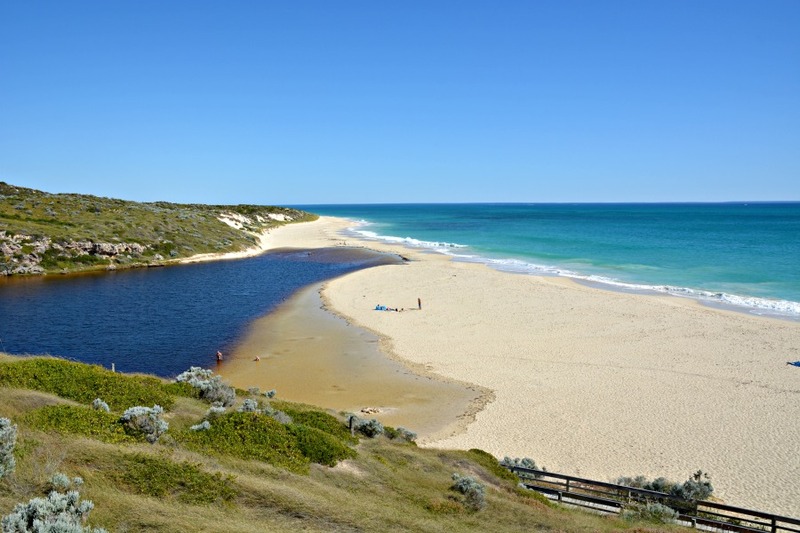 However there's a little something there that's rather special, and that's the beach. 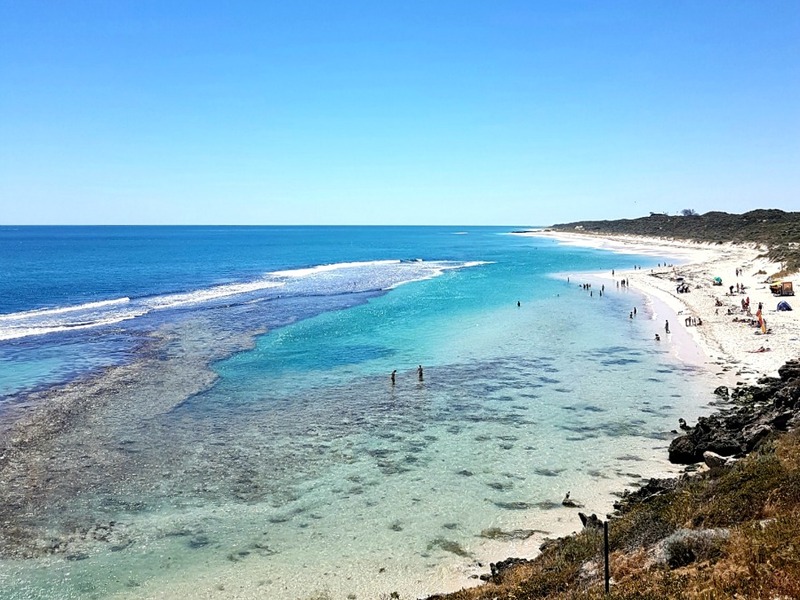 Yanchep Lagoon is completely sheltered from waves and sharks by a huge reef that protects the little bay, which makes it perfect for just laying in the water soaking up the sun on such a hot day. 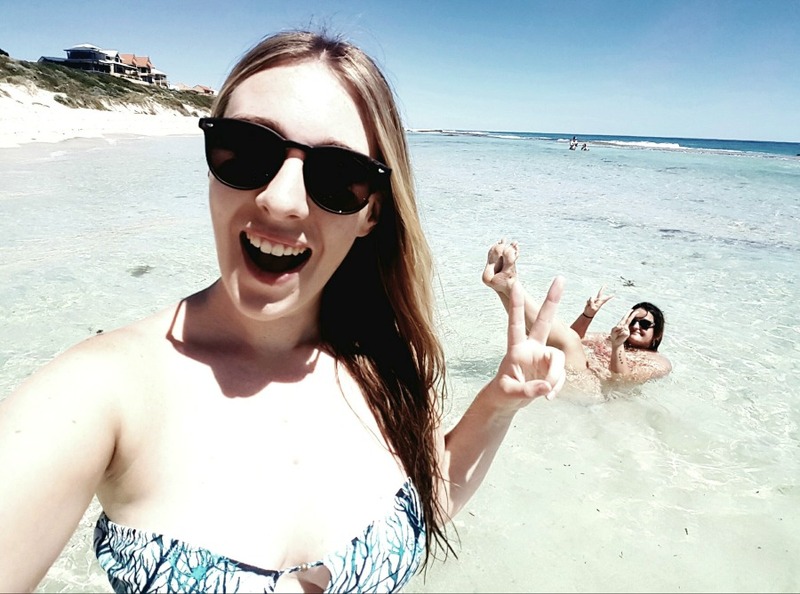 I think Yanchep Lagoon is one of the few places I hadn't yet been to, and Hannah said we had to go as I'd love it. So off we went. I picked her up enroute, and armed with a bag full of snacks, a footwell full of drinks, and an ice-cream each, we started our roadtrip. 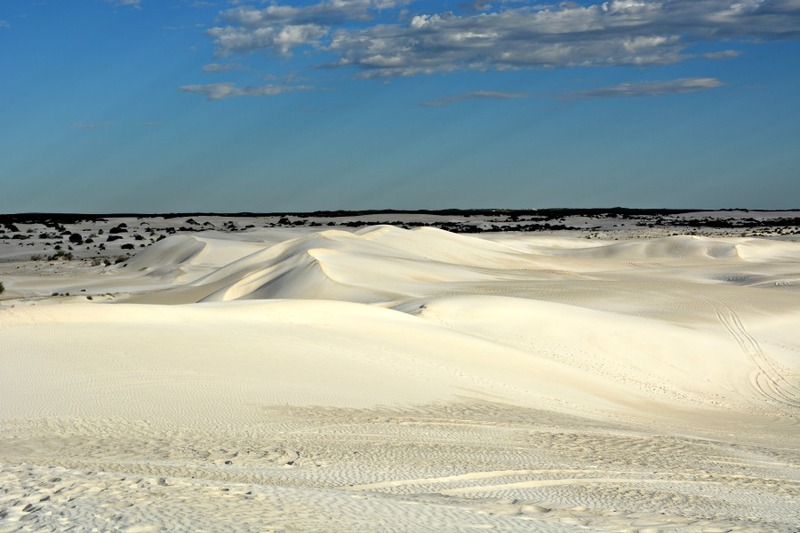 Although Perth to Yanchep is only about 45 minutes, we'd be heading up to Lancelin later, which in total was a 300km roundtrip. And what's a roadtrip without snacks?! 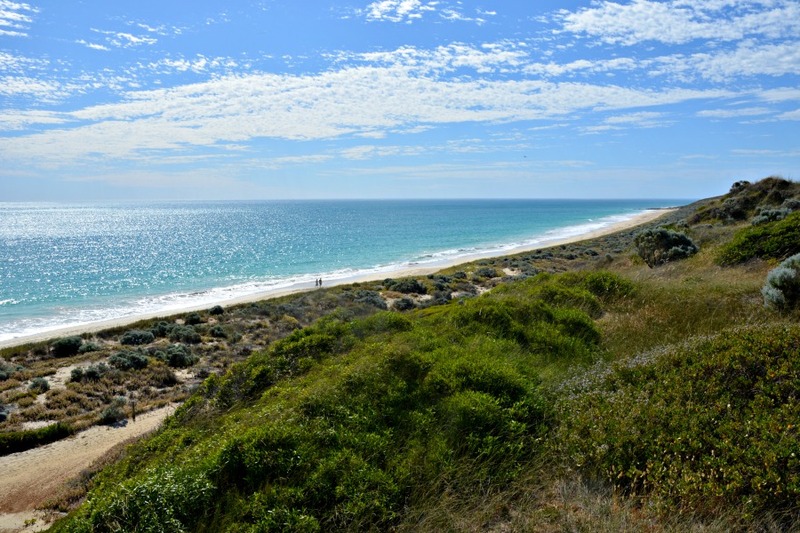 We eventually got to Yanchep Lagoon and were greeted by the breathtaking sight of the lagoon. So we grabbed our towels and bags and walked down. 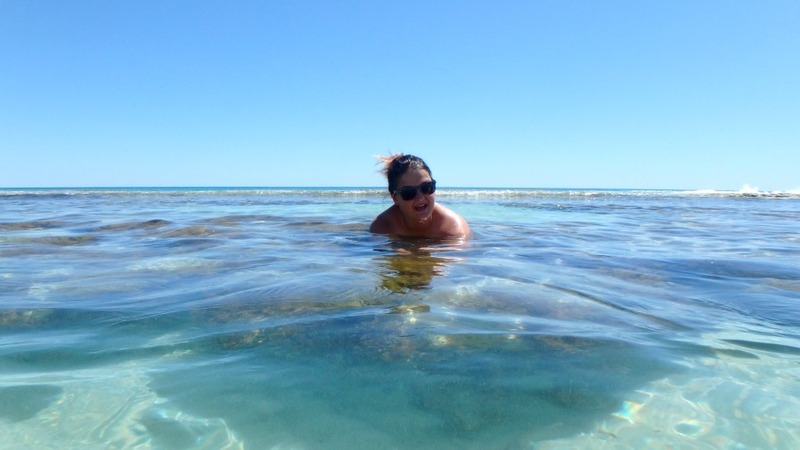 We went to the quieter side of the lagoon, as there are two sides, and set up our towels before diving straight in (jokes, the water was freezing, we inched our way in squealing the whole time). It took me so long to decide whether to post the above photo on social media and my blog. It shows off my lumps and bumps, the weird line I always have on my waist, and the cellulite on my legs. But ultimately I love my hair too much in it to delete it haha. 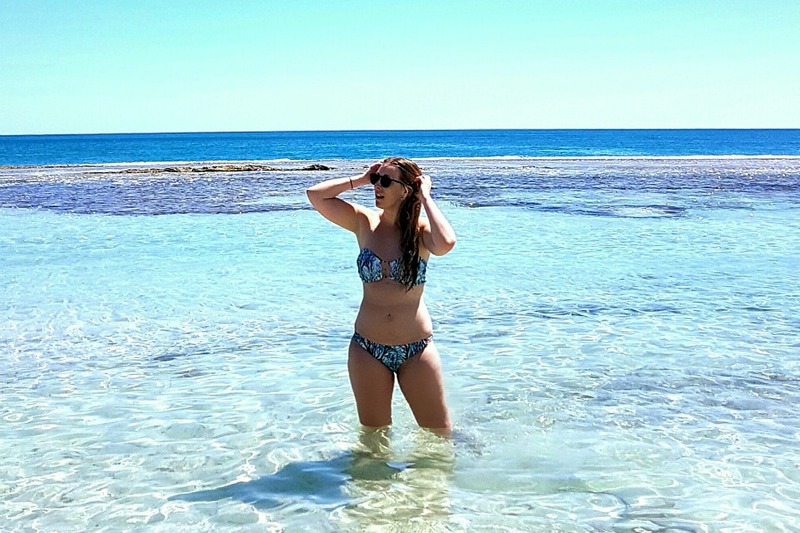 Also it's probably one of the more forgiving photos of me in a bikini due to the way the shadows fall on my body, lolz. Anyway, after an hour or so of lazing around in the water floating and just soaking up the rays, we dried off and then headed back to the car. It was time for our next stop! 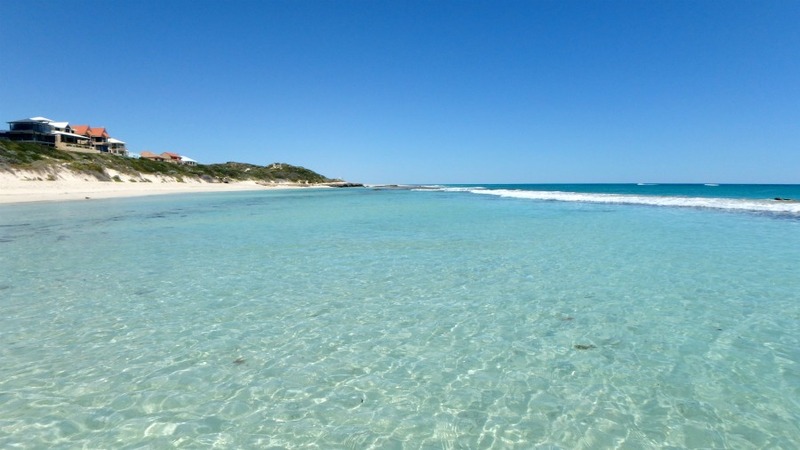 Guilderton is a tiny coastal town halfway between Yanchep and Lancelin, and is at the very beginning of the Moore River, which earned it it's Aboriginal name of 'Gabbadah', which means 'mouthful of water'. 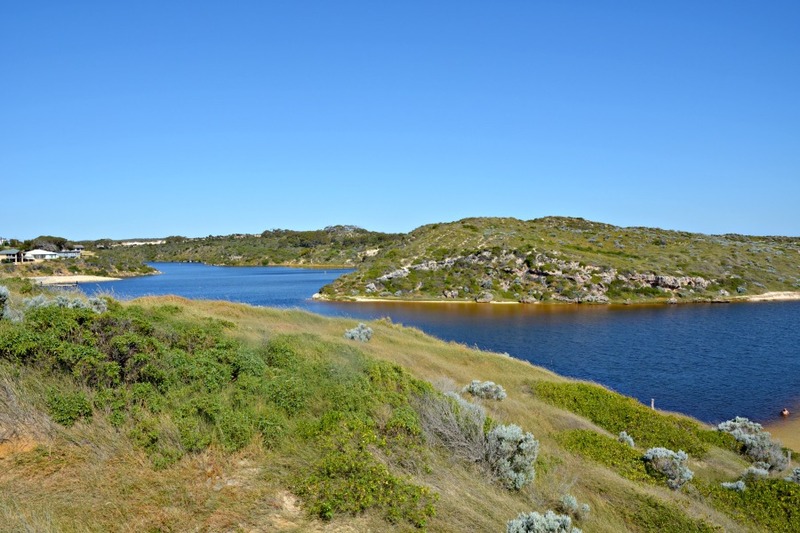 There isn't much to see or do in Guilderton, but the view over the start of the river (depending on the season, it's either an estuary or a lagoon - it changes with the seasons), is pretty fascinating. After a quick look and a Whatsapp video sent to my parents (they love Guilderton), we hopped back in the car and headed up to Seabird for a drink at the Seabird Tavern. It's a funny little place, but the view is spectacular! And then it was time for the final stretch before the long drive home. 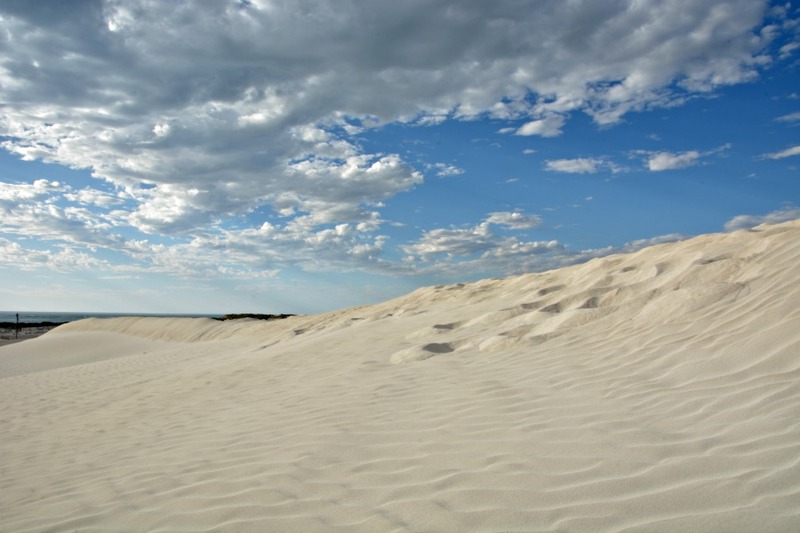 Lancelin Sand Dunes. Unfortunately my little hire car wasn't a 4WD so couldn't get up (or down) the dunes, so we parked at the bottom and then ran up them! 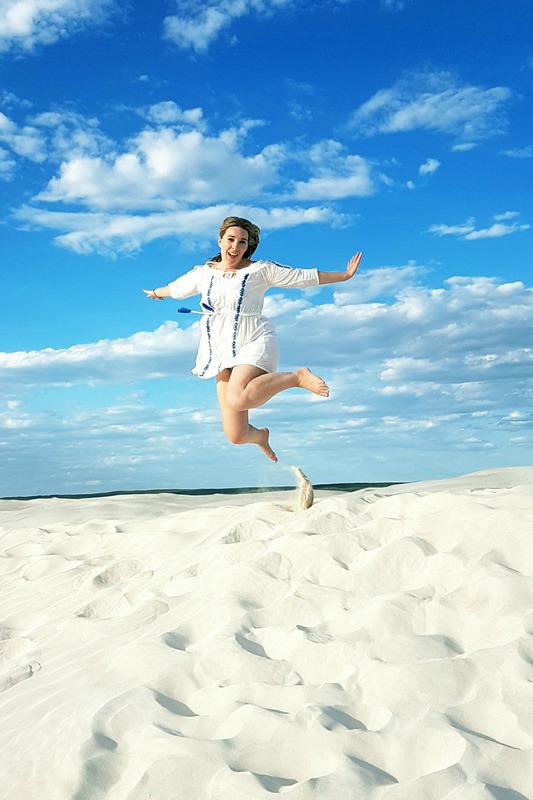 We had loads of fun acting like kids and jumping off the dunes. It was pretty late and it was a Monday so it was nice and empty up there, so we weren't battling with too many other people. We had an hour to go before sunset so we headed back down towards Perth. 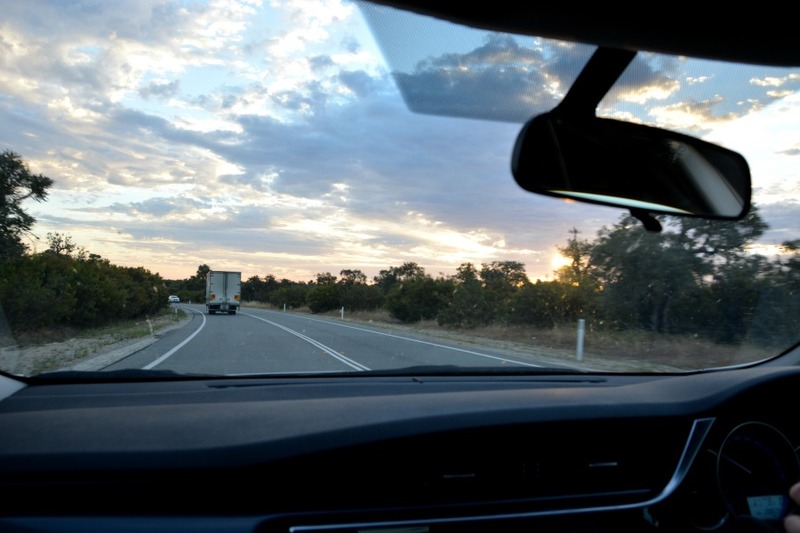 It's never a good idea to drive after sunset in a 2WD car because the risk of hitting a Kangaroo is so high, and even if you're in a 4WD it can still damage the car (and you) a considerable amount! On our way back to Perth we followed the coast road and watched the sun gradually dip below the horizon, the supermoon rising up in the East (yes, this blog post is very late... hahaha). 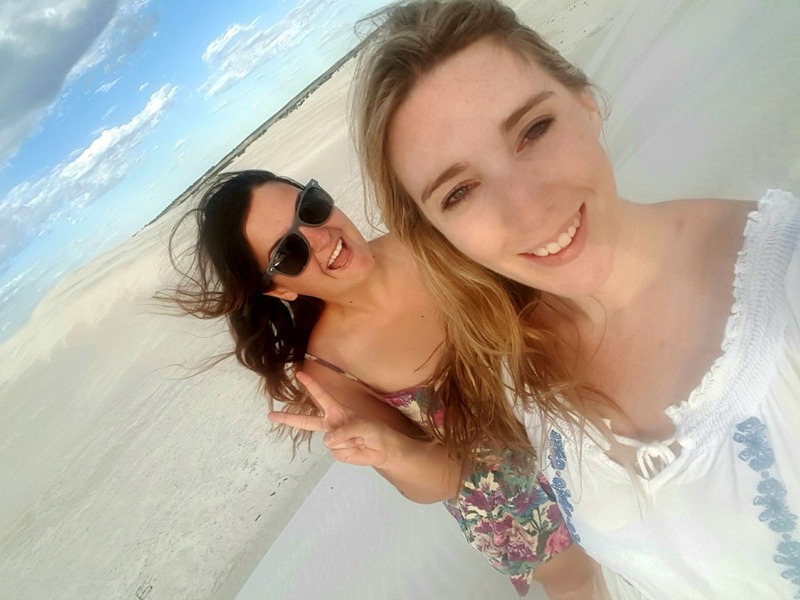 We had such a fun day out and it was nice to get out of the city and explore a bit - it had been years since I'd last been up to Lancelin! Such beautiful photographs Catherine! I love the look of that gorgeous lagoon and want to be there right now.... so so nice!! Recently returned from honeymoon and missing the sea!! What a beautiful lagoon and absolutely stunning photos of you.